AMMONNEWS - His Majesty King Abdullah II on Thursday visited the tomb of the late King Hussein to mark the 20th anniversary of his passing away. 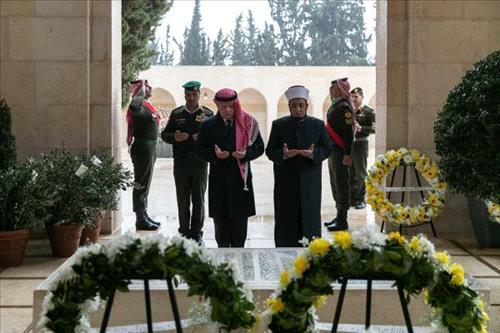 His Majesty laid wreaths and recited verses from the Holy Quran at the tomb. Upon arrival, the King reviewed the guard of honor who lined up to greet him.